President, Nigerian Veterinary Medical Association, Professor Garba Sharubutu has called on the federal government to recruit and equip forest guards to end the menace of ‘unidentify’ herdsmen attacks across the country. The university don believed that, neglect of this critical forest protectors by successive administrations over the years was making protection of Nigerian forests weak thereby giving room for criminals to breed therein over time. 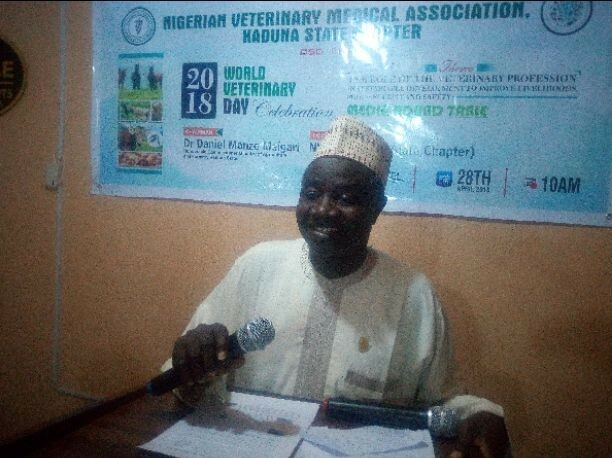 The professor, who stated this in Kaduna during a round table discussion with journalists as part of activities to mark this year’s World Veterinary Day organised by the Kaduna chapter of the association also hinged healthy survival of Nigeria on healthy veterinary practices. According to him, “forest guards know everything about the forests including the sound of birds in terms of security. If we have forest guards in Sambisa, there is no how Boko Haram would have been building tunnels for ten years without knowing. “You have the police, NSCDC, FRSC and all that protecting lives and property in the towns, yes, but nobody is protecting the forests. That is why the kidnappers are having free days, animal rustlers and other criminals living in these forests unchallenged. “If we want solution to this farmers herders clashes, all hands must be on deck. The issue of forest security should be given a top priority. Our lawmakers must learn to go to their people when they are on recess and not to run because they have monies”, he stressed. He also decried the mean number of veterinary doctors across the Nigerian States saying, there is gross neglect of this essential workers across the states. “We are of profession that are self-reliant. We don’t depend on government. We are not contractors. More than enough people benefit from us. Waste from newspapers is what we have as eggs creates today. So, we have a chain of activities. “But the truth is, many states have deficiency in veterinary services. In kaduna for example, each of the local government need minimum of three veterinary doctors to avoid slaughtering of sick or pregnant animals. This is critical to human survival. This is because if you don’t ensure people eat healthy animals, be ready to spend more on their health. “It is important to have veterinary doctors at animal posts on transit because they will know the breed or if they are stolen animals. “If we have enough veterinary doctors across the rural areas, it will help to identify those that are causing problem because they will have the contacts of those who owns animal at this level. “Therefore, there is the need for veterinary framework. If the tariffs on importation of needed materials can be removed, the sector will takeover in term of sustainable development. Let give them the capacity and see what they can do. “The veterinary can handle all the needed meat for the country. Let invest through public private partnership back up with laws. “Even when we know we can stand on our own, we still need regulatory frame work because the law alone cannot do the work without putting people in place to implement the law. “A state that has only three veterinary doctors cannot implement the law. So, we need to get most of organisations like military and paramilitary on board. We are happy with the police because they have all that are needed but only need veterinary doctors to keep the fire burning. The progress of this country lie so much on veterinary doctors”, he added.